Attention! The journal is re-registered of the Highest Certifying Commission of Ukraine (VAK), as the specialized professional journal on four directions - medical sciences, pharmaceutical sciences, biological sciences, computer science and engineering (instrument making). It predicated by decrees of Presidium VAK of Ukraine № 1-05/1 (medical), № 1-05/3 (pharmaceutical), № 1-05/4 (biological, technical). The journal cited and indexed in scientometric database Index Copernicus and CrossRef. The journal is the official partner of The European Journal of Biomedical Informatics (EJBI), ISSN 1801-5603. "The practice of patient centered care: Empowering and engaging patients in the digital era"
Medical Informatics Europe conference - MIE 2016. "Health Exploring Complexity: An Intedisciplinary Systems Approach". 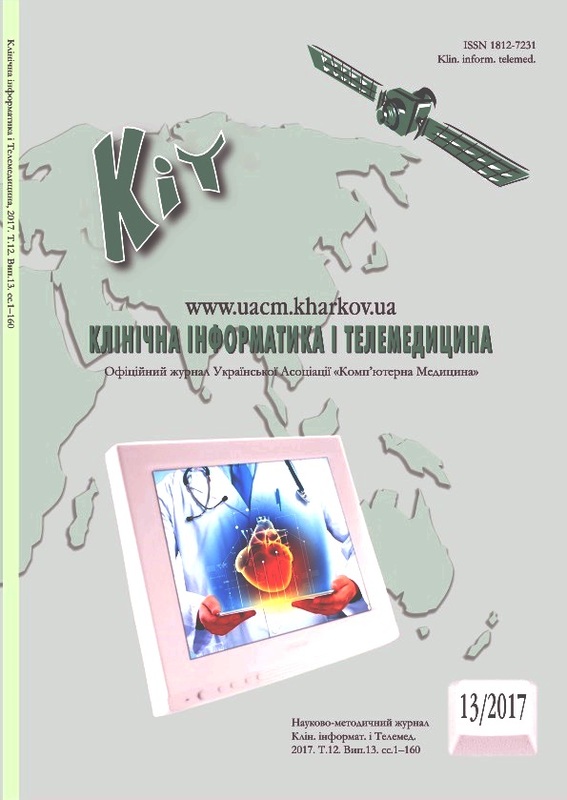 VI International Medical Forum "Innovations in Medicine - Health of the Nation"
15 - 17 April, 2015, Kyiv, Ukraine.